Iranian news network Press TV has posted another anti-Semitic article, this one with the headline: “Israeli death squads involved in Sandy Hook bloodbath.” The article cites Mike Harris, as well as Gordon Duff (the editor of Veterans Today), who refer to Adam Lanza as the “fall guy” for the Israeli operation. This is the second time since the Sandy Hook tragedy that Press TV has alleged Jewish involvement. Press TV has a long history of promoting anti-Semitic claims, and routinely invites American anti-Semites to serve as commentators. Veterans Today is a fervently anti-Semitic website which features Holocaust denial, anti-Jewish conspiracy theories, and attacks on Jewish religious texts. Its contributors and editors frequently appear as guests on Press TV. Duke’s radio show is broadcast over the Rense radio network, and frequently includes appearances by anti-Semitic ideologue Kevin MacDonald, a professor of psychology at California State University. Since his expulsion from the Society of St. Pius X, Holocaust denier Bishop Richard Williamson has been rallying the most extreme elements of the Traditional Catholic movement to his cause. In his December 15 newsletter, Bishop Williamson reveals that he will shortly be conducting an apostolic visit to the United States and Canada. No word yet on where he will appear. Bishop Richard Williamson, who denies the Holocaust and promotes belief in worldwide Jewish conspiracy theories, was expelled from the Society of St. Pius X several weeks ago, after numerous acts of insubordination against the leaders of the organization. For his part, Bishop Williamson contends that the leaders of SSPX have given up their traditional opposition to Catholic doctrinal change and modernism. Now that he has been expelled, Bishop Williamson is trying to cultivate “Catholic Resistance” to the modernizing liberalism of SSPX. He calls it the “St. 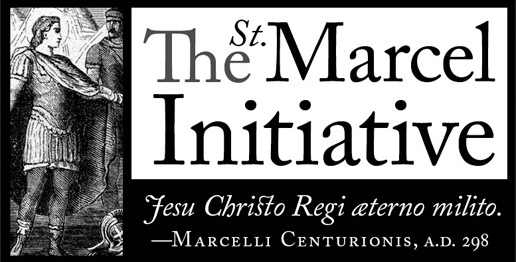 Marcel Initiative,” and describes it as “a loose network of independent pockets of Resistance, gathered around the Mass, freely contacting one another, but with no structure of false obedience such as served to sink the mainstream Church in the 1960’s, and is now sinking the Society of St Pius X.” The website for the St. Marcel Initiative so far only solicits funds. I think it’s good for the image of SSPX that Bishop Williamson has been formally expelled, but the jury is still out on whether SSPX has the desire and ability to purge itself of the anti-Semitism that percolates within some of its more extreme members. Let us hope so. In the meantime, we’ll keep watching Bishop Williamson and the St. Marcel Initiative for further developments.